SuparTipstar’s UFC Best Bet record to date is 12-31, +9.65u for an ROI of 19.26%. The focus of my best bet tonight is the main event, bantamweight rematch between Raphael Assunção and Marlon Moraes. I saw the first fight between these two fairly easily for Moraes, with him being the more active and varied striker while Raphael sits back into his low volume, power counter style. Raphael’s style does produce a lot of close fights and judges decisions, but it is the best style for him as whenever he commences his own offence he tends to forget his Ps and Qs. To me, Moraes got a bit overconfident in the first round of that fight and I’d expect a little more respect and focus in this one. I like Moraes’ camp and if they have prepared well for this rematch I believe he is in the best position to alter the outcome this time. If he mixes in straight shots (the power straight coming off the hook, knees, front kicks) I think he will have the variety he needs to keep Raphael guessing and catch him. Bare in mind Moraes has five rounds to do so this time, and Raphael has never fought a fourth round. As mentioned, Raphael’s style can lead to him getting behind, and if he does so in a five round fight and is forced to go on the offensive, forgetting his Ps and Qs, I think it will be worse for him. Raphael always has that power, and he is an ace on the ground so he has plenty of win probability here, but in a matchup we’ve already seen, extended to five rounds, I can’t help but feel the number we are being given for Moraes ITD is generous. 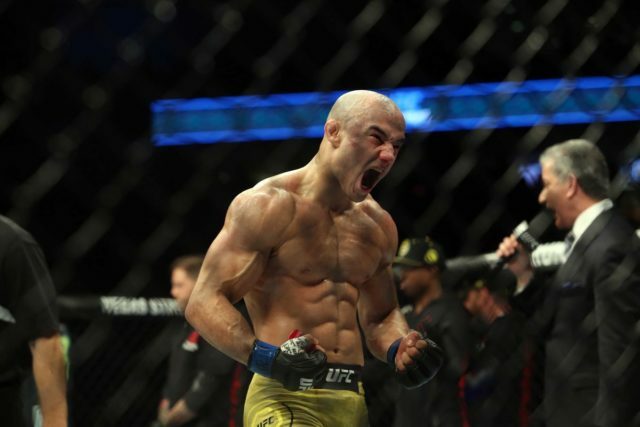 My best bet for UFC Fight Night: Assunção vs. Moraes 2 is Marlon Moraes wins inside the distance @ 3.49, +249 (5Dimes). This is a 1u bet.